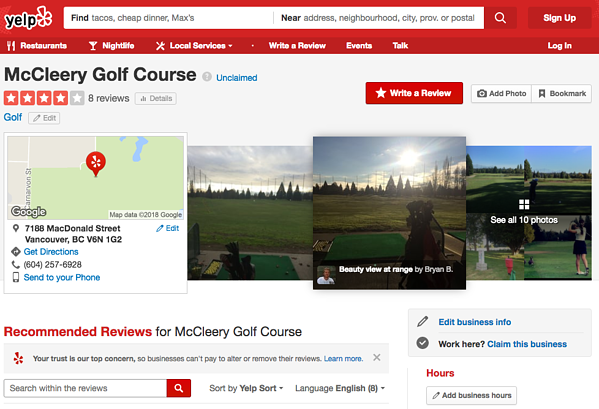 When people search for a golf course online, about three in four will search for online reviews before arriving at the facility. When it comes to younger audiences, 53% of millennials "always" search for online reviews before deciding on entertainment options or making a purchase. Golf isn't just a sport, for many people it's a form of entertainment they enjoy several times a year. Customers like these are very likely to consult online reviews before choosing the most optimal golf course. Travellers similarly are likely to consult online reviews since they are usually unfamiliar with local course options. In most situations where a golfer is trying your golf course for the first time, that player will take a look at your course online and consult reviews. So, how can golf course managers harness the power of online reviews to attract fair-weather golfers? Turn customer trust into online reviews. When you run a good operation that provides unforgettable service and experiences, you are building intangible customer loyalty. Satisfied customers represent both your most valuable set of clients and an opportunity to generate online reviews of your golf course. Turning customer loyalty into online reviews means utilizing the customers you do have, to drive business from the customers you don't have. Learn how to build customer trust. 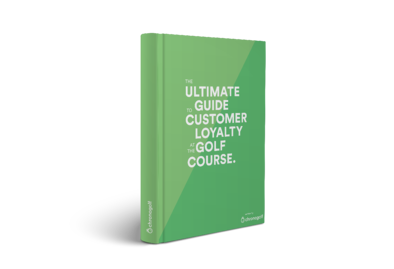 Download the ultimate guide to customer loyalty now! 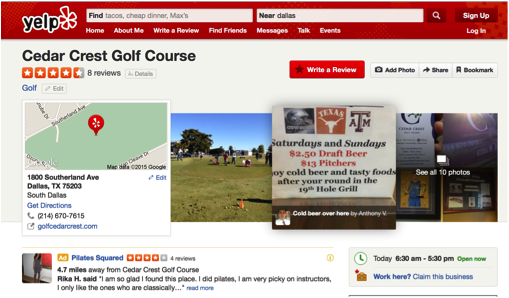 Make it as easy as possible for your loyal golfers to leave a review. Getting even your most loyal customers to leave a review of your golf course can be extremely difficult. So, to make a strategy like this work you must find ways to make it effortless to leave a customer review. Start with the basics. Claim your profiles on Google, Yelp, The Yellow Pages, Facebook, and others. Claiming your profiles gives you more platforms to share reviews on and it helps you rank higher in Google searches. to display nice pictures, promotions, and business information. 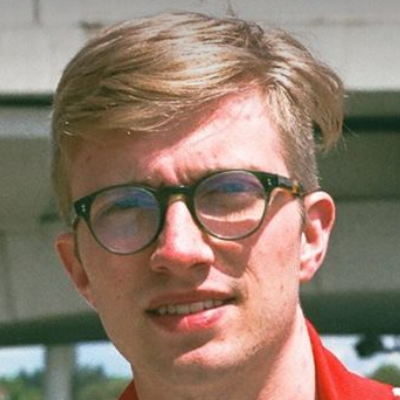 Once you're up and running, what's next? Good customer experiences come from seamless delivery. Of course, implementing a few strategies to get online reviews won't work unless your customers have something to write about. Getting good reviews starts with delivering an excellent customer experience from initially reserving a tee time to enjoying drinks at the 19th hole. The most difficult part about selling entertainment to golfers is that one negative experience can spoil the entire outing. Hiring quality staff and providing quality training can help deter these risks, but to deliver a truly seamless and memorable experience technology can make a serious difference. Online reservations are so simple and easy, especially for young golfers. 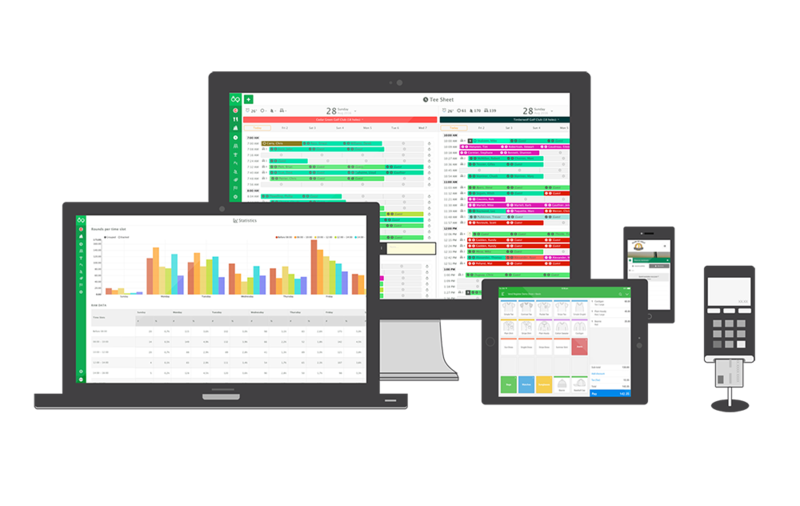 Integrating your operation with a high-quality booking system is the best way to make purchasing a tee time at your golf course fun and easy. To get the best out of your online reservation strategy, we recommend integrating a mobile application service. Young people prefer to reserve their tee times directly from their smart phones however they won't make a reservation in their browser. Don't frustrate customers a confusing legacy system that forces them to stumble through ugly web pages and drop down menus, integrate with a simple to use mobile app instead. Provide a high tech experience onsite. 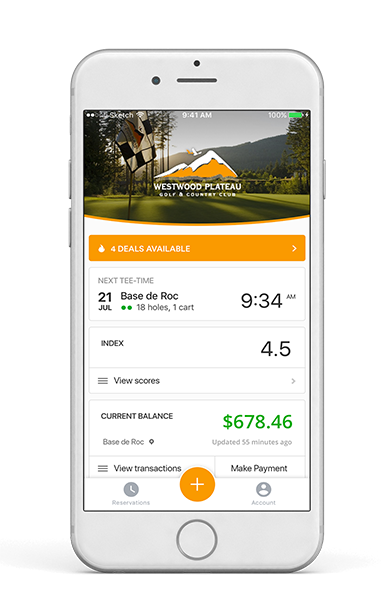 Impress customers with the ability to check-in to their tee time from the parking lot on their smartphone. Let players see their tee times on a flatscreen tv in the lobby, just like an airport. Offer players the ability to make orders from their smartphones while playing their round. 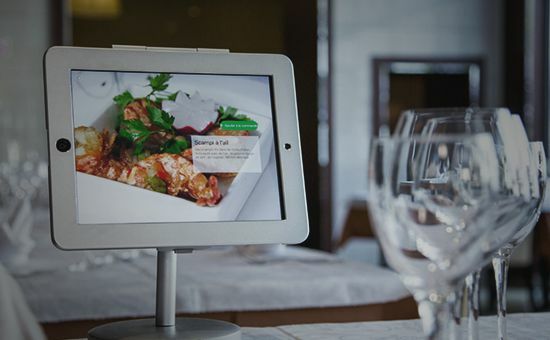 Set up iPad kiosks where players can make orders without waiting in line for a server. There are a lot of ways to impress customers that take pressure off frontline service staff and allow them to do their job better. Building customer trust and encouraging reviews is a continuous task. Keeping members happy never ends, there will always be new trends and experiences that customers are looking for. Modern technology is becoming increasingly important in the golf industry, and a well-designed customer loyalty program will allow your golf course to stay ahead of the curve. Golf courses looking to attract millennials will have to update the customer experience with modern course management technology. We're sure you have a beautiful golf course with a relaxing clubhouse and an interesting restaurant. Once you have the customer experience perfected, it's time to start gathering positive and informative reviews of your golf course.